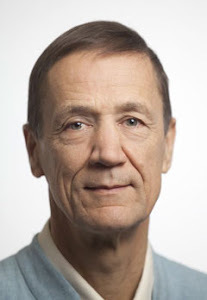 Ian Gawler: Out on a Limb: What-form-of-turmeric-is-best?-What-form-of-curcumin-is-best? Turmeric is the well-known culinary herb that in more recent times has been developing a formidable reputation due to its many well-researched therapeutic benefits. But how much is enough? How much do we need to take to get the benefits and what about the various additives or adjuvants that claim to increase its potency and effectiveness? Are they for real? And if so, which of those is best? This week, the answers. In the last post, How much turmeric?, we covered the theory – that curcumin is the main active ingredient of turmeric and that some adjuvants do have demonstrated positive benefits. this page, but not disappearing. and I won’t be there when I wake. Then I will sing in the silence. I am not into caveats or waivers or cop-outs. 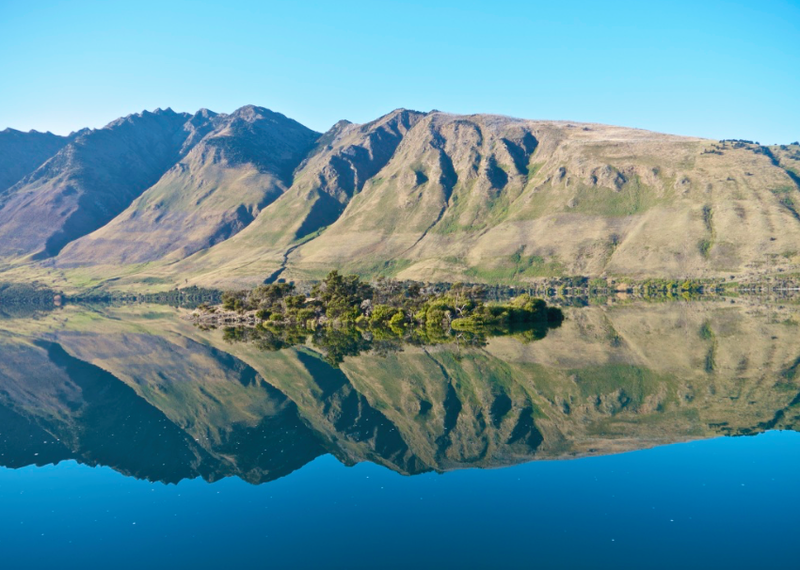 I am of the view that it is best to speak the truth as you know it and leave others to make of it what they can. However, in this instance, it may well be useful to be clear re what I have written about turmeric. I have been looking into this turmeric question for some time and researched it a reasonable amount. But I have not done a PhD on it and do not claim to have done a full literature search. What I am presenting here is based on what I understand to be useful information and what I do with turmeric myself - I am taking it for a while myself. Truth is, the best way to take turmeric therapeutically would be to consult a qualified health professional – a good herbalist would be the obvious choice – and to have them prescribe in response to your individual needs. 2. Research studies indicate the therapeutic dose of curcumin is around 1 - 6gms/day. The lower levels seem to demonstrate effectiveness for “simpler things” like arthritis, the higher levels for conditions like cancer. 3. For the lower dose, 1gm of curcumin is equivalent to a bit over 42gms or around 10.5 teaspoons of turmeric powder. For the higher dose, 6gms of curcumin is equivalent to 250 gms or 62.5 teaspoons of turmeric powder. 4. Black pepper increases the efficacy of turmeric 20 fold. 5. The amount of black pepper required is about 5% by weight of the turmeric. 5. The adjuvant BioPerine increases the efficacy of turmeric by 30 fold, as well as increasing the uptake of several other supplements. 6. The adjuvant Longvida increases the efficacy of turmeric by 65 fold. The first question is whether to take natural turmeric or a supplement? Personally, I am a big fan of natural herbs as compared to extracts. If we take turmeric whole, we get the curcumin along with all sorts of lesser known, lesser studied compounds that actually may be quite important. need to take around 10.5 teaspoons of the powder daily. For the higher dose, it would be around 62.5 teaspoons. Obviously this is not practical, but the good news is that adjuvants do work. There are 3 worth considering. Going on basic theory, fresh turmeric may be slightly better than the powder, but as yet there is no evidence on this. To achieve the lower therapeutic levels, we would need half a teaspoon of turmeric and .025 teaspoon (which is about .1 gram) of black pepper. We could do this quite easily using the turmeric paste recipe below. If you do choose to take a supplement, there is a real need to read the labels and be clear on what you are getting. For example, you can buy organic turmeric in capsules. 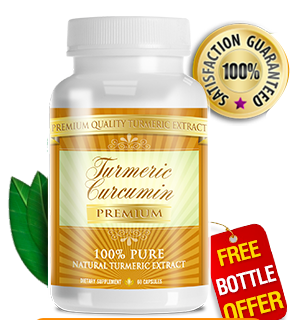 One brand offers capsules containing 800 mgm turmeric on its own. Remember, the lower therapeutic dose is 42gms; so if we divide this by 800mgm, you would need the equivalent of 70 capsules per day. You could take these capsules with 5% pepper that you add yourself, and then only need to take 70 divided by 20, or 3.5 capsules per day. This same brand offers another formulation with 607mgm turmeric, 3mgm black pepper and 50mgm ginger. Problem is you need 5% black pepper to be effective. Five percent of 607 is 30.35, so they have only one tenth of the black pepper needed. This patented formulation has been researched in clinical trials to validate its safety and efficacy. It has been shown to increase the bioavailability of curcumin by 30 fold, and many other nutrients to a significant degree, including CoEnzyme Q10, Selenium, Vitamin C and Beta-carotene, along with resveratrol, numerous other water and fat soluble vitamins, minerals, antioxidants and amino acids. BioPerine is used in many supplement formulations for this reason and while useful, it seems Longvida makes more sense. Recommended dose : For adults : take 2 capsules a day, 30 minutes before meals with an 8oz glass of water. Cost : The regular list price for a single bottle is $48, however, discounts are available for multiple purchases. Longvida claims to increase curcumin bioavailability by 65 times; making it the highest of the 3 we have examined. Also, Longvida is the only form or formulation of turmeric or curcumin that has published research demonstrating its ability to cross the blood-brain barrier and bind amyloid plaques. While others may do this, Longvida is the only one with published evidence. What I understand of this is that Curcubrain contains 20% of 400mgm curcuminoids – which is 80mgm. The Longvida increases the efficacy by 65 fold making this the equivalent of 2.8gms of curcuminoids. Remember, the therapeutic dose for curcuminoids ranges from 1 to 6 gms daily. Recommended dose : From the manufacturer : Take one capsule daily. This is the equivalent of 2,8gms of curcuminoids. However, while that would satisfy the minimum therapeutic dose we have been speaking of, for the maximum dose, we would need to take 1 capsule, 2 or even 3 times daily. 50 capsules per bottle. Recommended retail $39.99. Seem elsewhere for $25.48, making it 50cents to a dollar a day. Consult physician if pregnant/nursing, taking medication, or have a medical condition (including liver dysfunction, gall bladder or gastrointestinal problems). According to the WHO, in 2014 Australia had an Alzheimers/dementia death rate of 25.91 deaths per 100,000 people (age standardized). That was the 12th worst in the world. Finland was top at 53.77. India had only 0.46 per 100,000.
quite a few herbs have therapeutic benefits when taken just in the common amounts for cooking. Some speculate that turmeric, maybe eaten along with some pepper, is helping the health of people in India generally, and in avoiding Alzheimers specifically. So perhaps just eating more fresh or powdered turmeric along with a little black pepper is a good idea anyway. 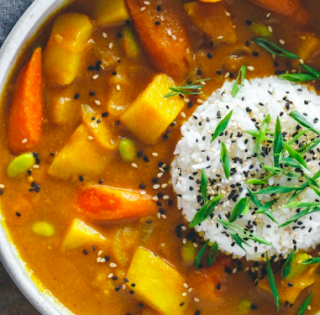 To one full teaspoon of turmeric powder, add 6 – 8 freshly ground black pepper corns and 1 teaspoon of sweet paprika. Mix with enough Olive oil or Flaxseed oil to make a fluid paste. Place in a pan and GENTLY warm while swirling over heat. Do not place on direct heat and do not overheat – just make warm. Finely grate 2 large garlic cloves and leave them to sit for 10 – 15 minutes. Once the paste is cool, mix in the garlic. What is BCM -15 and Meriva? I am interested in the anti-inflammatory properties of turmeric and the possibility that Curcubrain can remove brain plaques related to Alzheimers – if they happen to be there. Currently I am taking 1x Curcubrain daily, and balancing this with a piece of toast with the paste on it every second day or so. 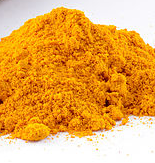 And we use fresh turmeric from time to time in cooking; sometimes the powder too. Turmeric is a tropical plant. Have tried to grow it in our garden, and in pots, but in the Yarra Valley, get some leaves, but B-all new rhizomes. Anyone got some tricks??? Labels: Therapeutic dose for curcumen. 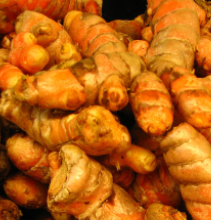 What turmeric supplement is best? What curcumen supplement is best?, What form of curcumen is best? Therapeutic dose for turmeric, What form of turmeric is best? metastatics, increased breast cancer; magnesium stearate is in soaps, cosmetics; microstystalline - is wood pulp a dangerous additive? ; silica - lung cancer. 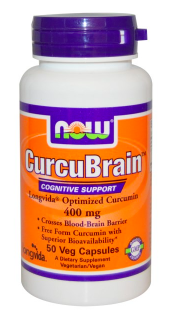 CurcuBrain contains: silica, stearic acid (vegetable), magnesium stearate (vegetable). CAN YOU HELP PLEASE? Trying to do my best but seem to be hitting the wall at times with the many 'fillers' which appear to be harmful. Speaking only to the silica issue, it causes lung cancer when silica dust is inhaled. This isn't so much of a problem when ingested. Thanks for your advice on tumeric and other herbal supplements. Product B is touted as being able to support telomere function and as such does a different job to turmeric, and yes I would recommend both in the right circumstances. I have heard that meriva with/in turmeric is 29 times more absorbable. do you find this to be correct? Meriva is another compound that has evidence to suggest it increases the uptake of Turmeric and specifically curcumin. However, from my reading of all this, Longvida and the product Curcubrain is the best overall - based on the evidence available. I use Bioglan clinical Curcumin 30x Turmeric 15,800mg stronger than regular Turmeric (Bioperine Black Pepper) 60 tablets 2 per day normally $39.00 but can be had for $27.00 when on special i.e from Price line or Chemist king pharmacy www.bioglan.com.au been using last 20 months with success good on going maintenance.Thanks..
I´ve been making Golden Milk with almond milk, turmeric, cinnamon, honey or maple syrup, ground black pepper, vanilla extract and coconut oil. The goal is to include as much turmeric as possible that can be hidden taste-wise with the cinnamon. The pepper and fat increase the absorption. It is better than tolerable, it is tasty. Hi Dr Ian Gawler, i know the recommended dose for curcumin in cancer treatment is 8mg a day. I have bought Bioglan clinical Tumeric 15 800mg for my mother to take everyday. Is this amount safe to take ? Regarding potential safety issues Been you really need to speak with a qualified person who can assess your mother's situation personally and give specific advice. In a general sense, turmeric is regarded as having low toxicity; and regarding the form to take the post concludes Curcubrain as making good sense.